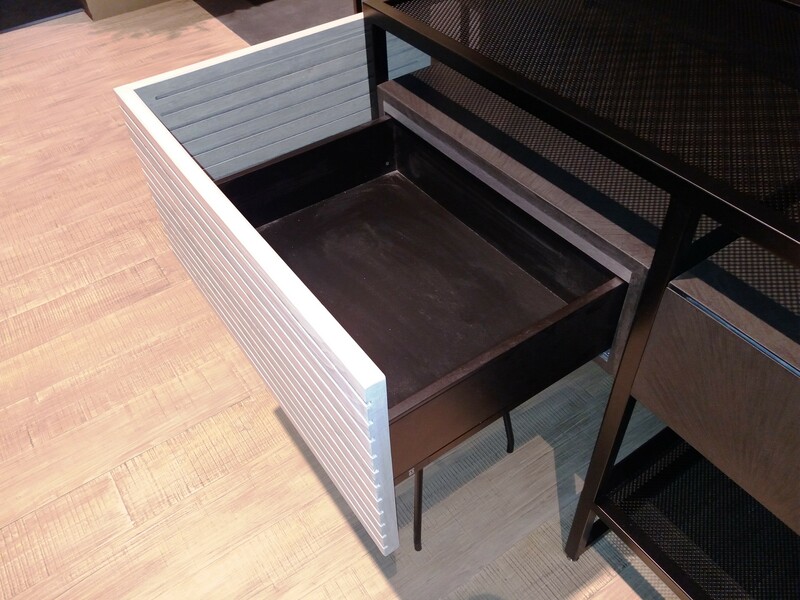 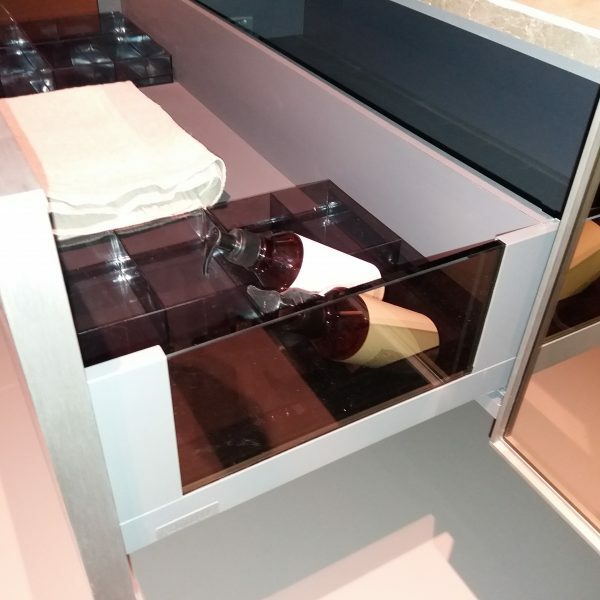 The drawer is made using the mechanism Blum Legrabox with the height of drawer side 177 mm. 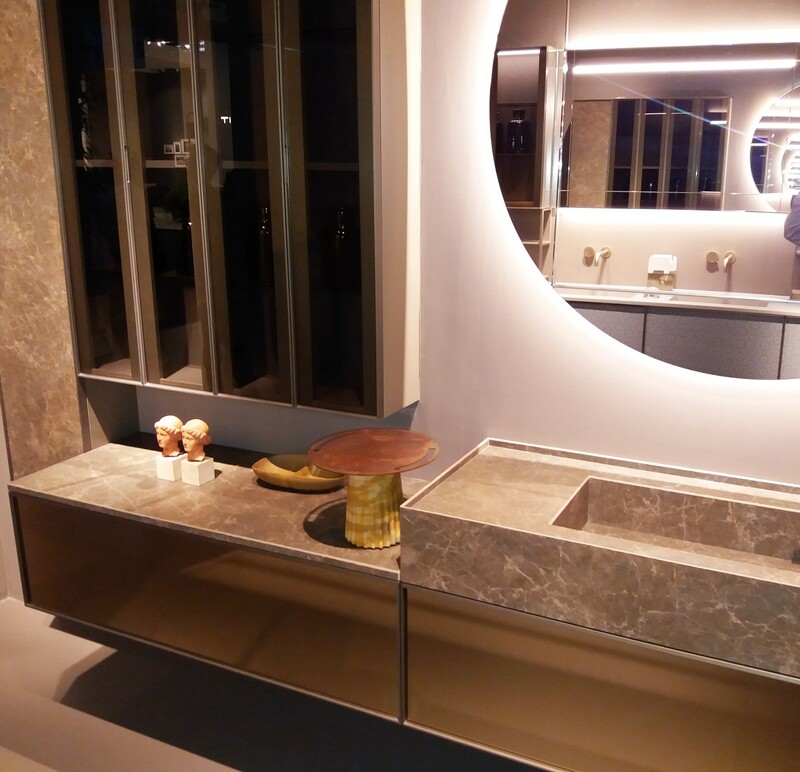 This nice hanging bathroom cabinet was presented at the Salone del Mobile Milano 2018. 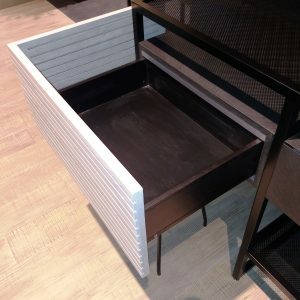 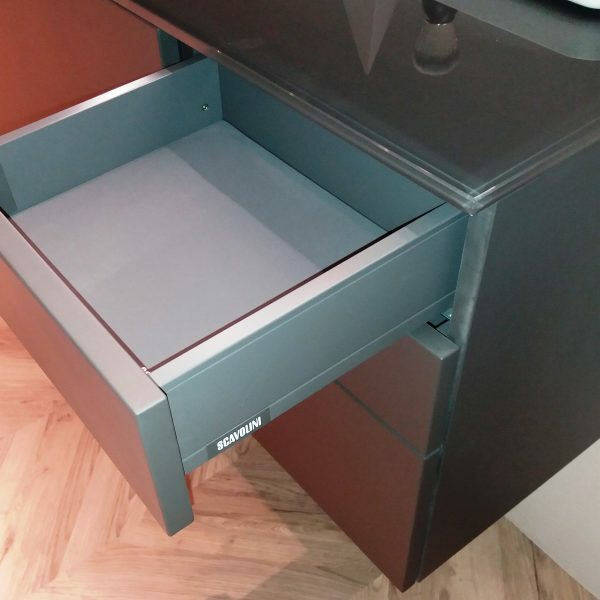 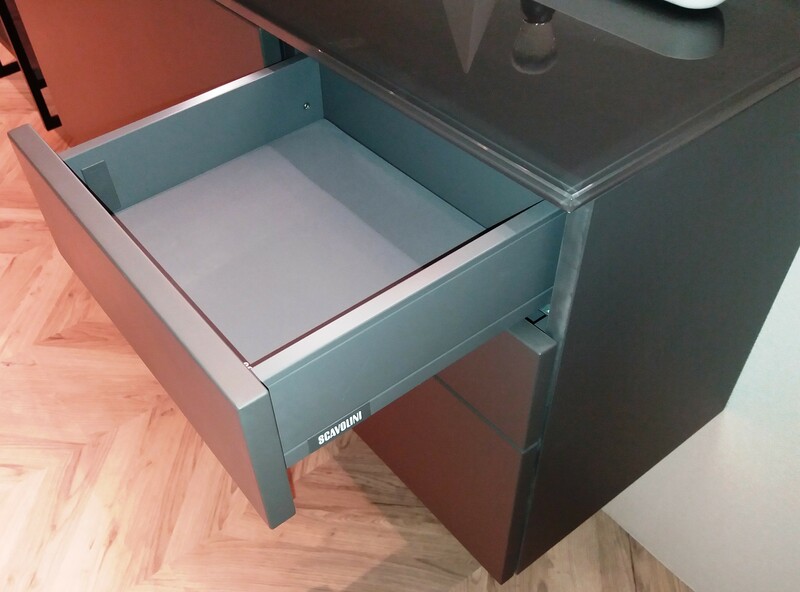 The drawers are made using the Blum Legrabox Tip-On mechanisms. 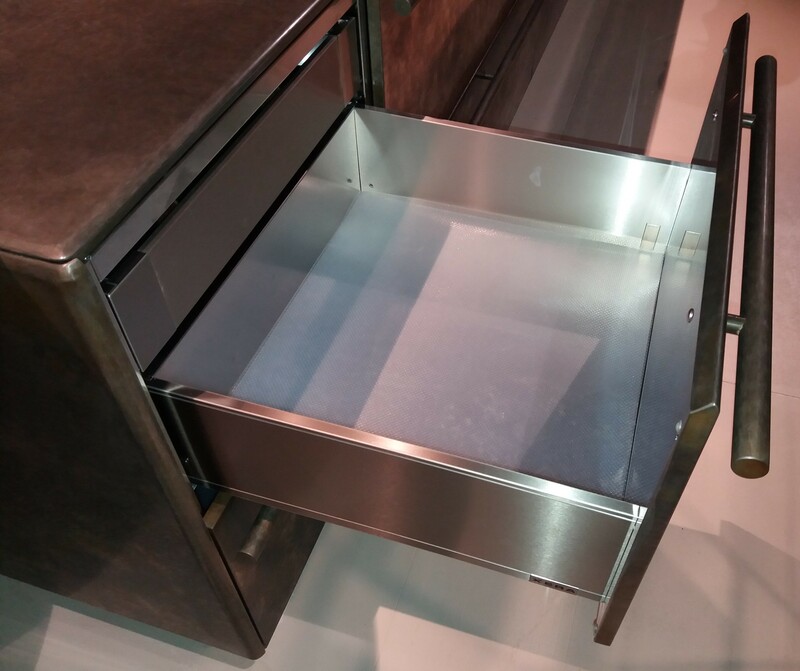 Kitchen working island in steel. 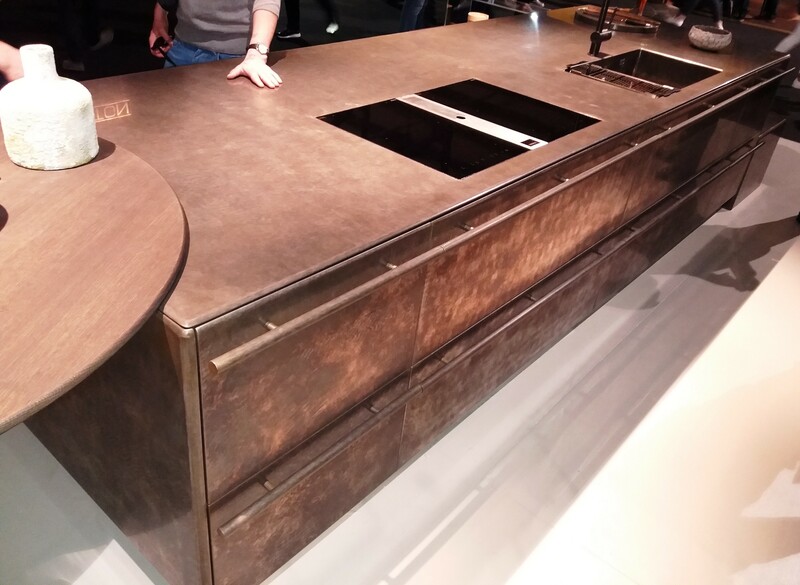 Professional kitchen, which fits in the existing living space. 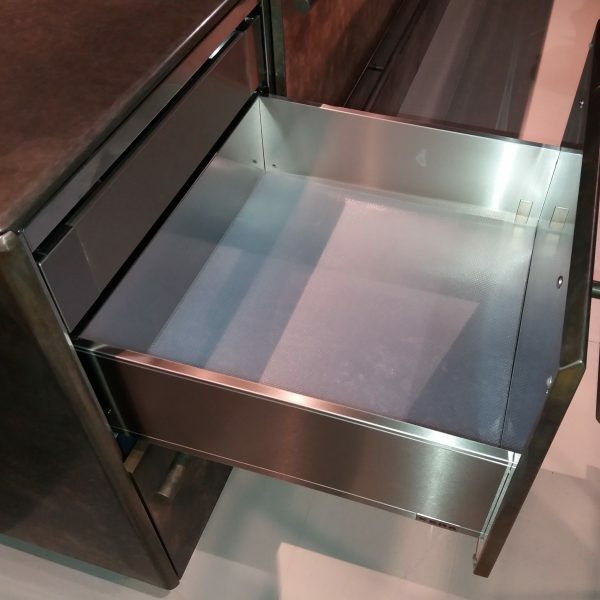 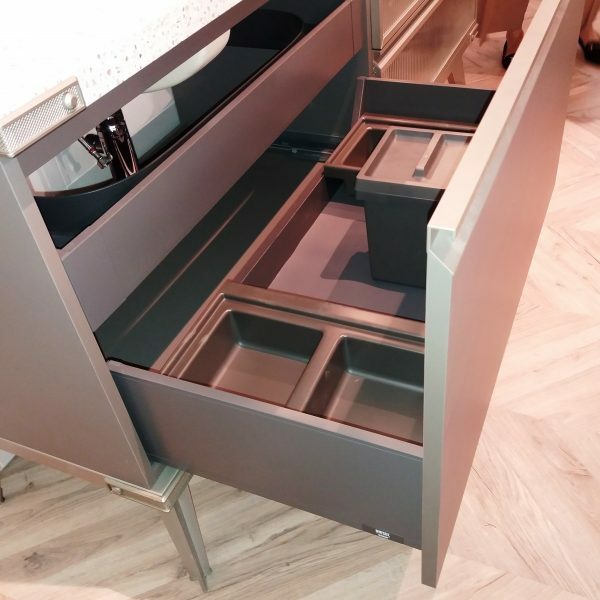 Blum Legrabox in stainless steel is used here for the drawers application. 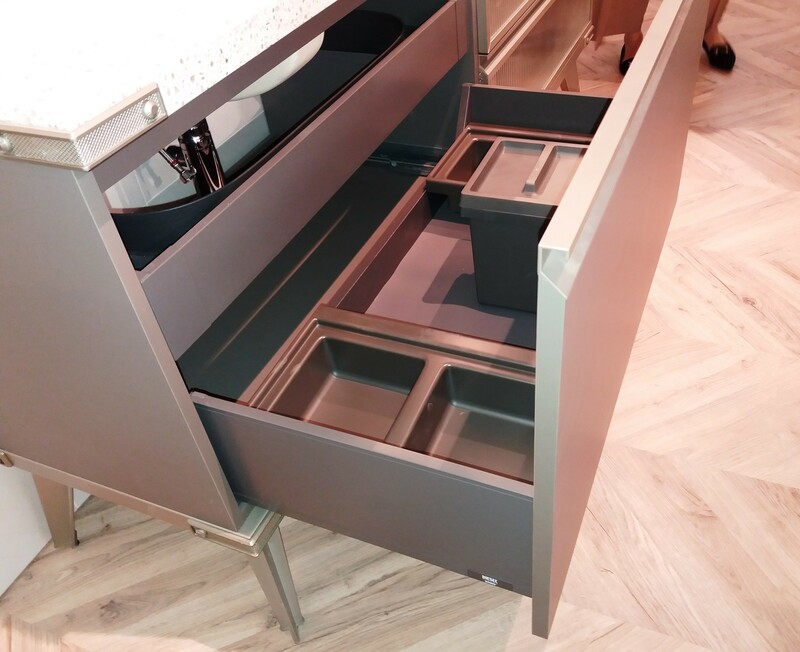 Also you can see the Blum Legrabox inner drawer with a nice stainless steel front. 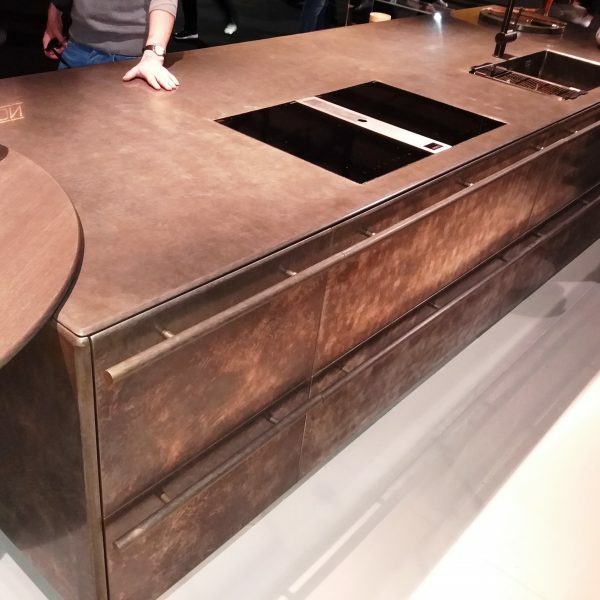 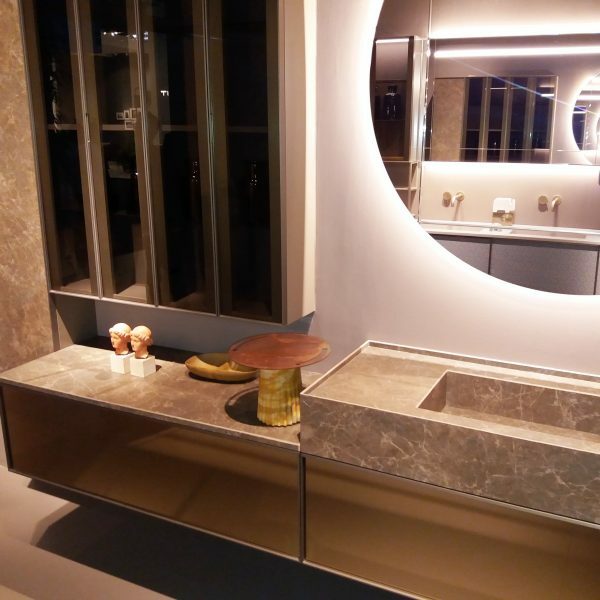 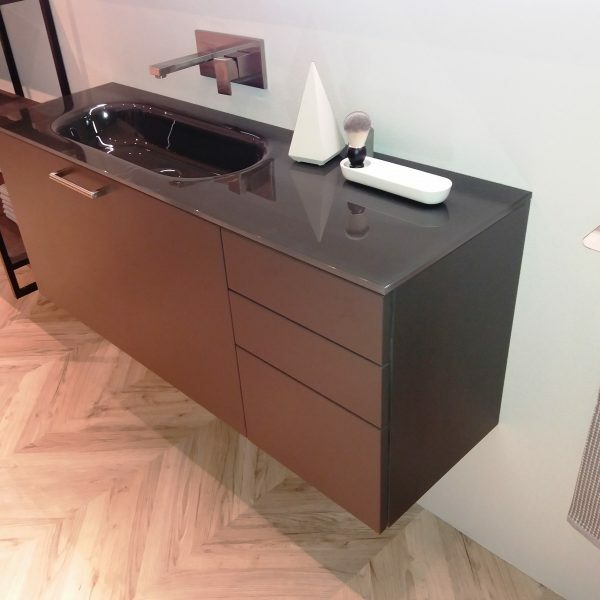 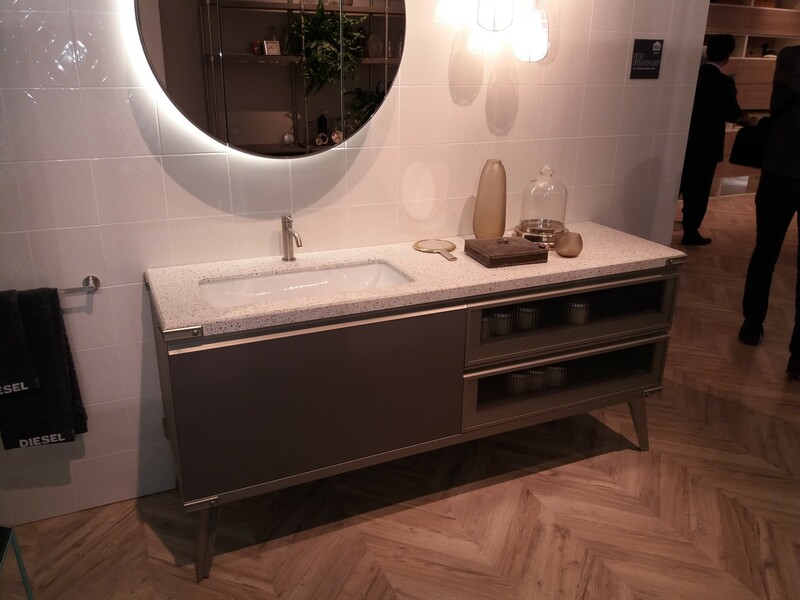 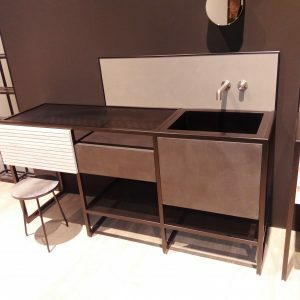 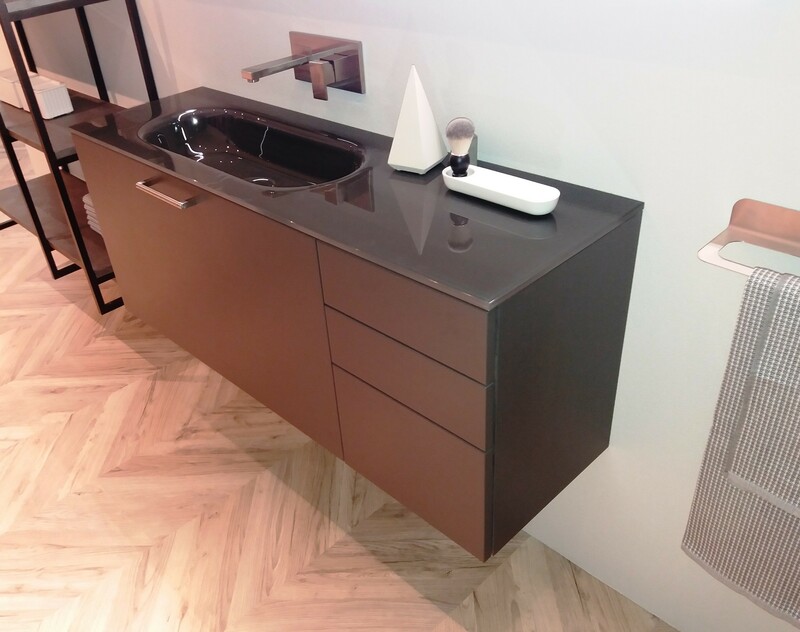 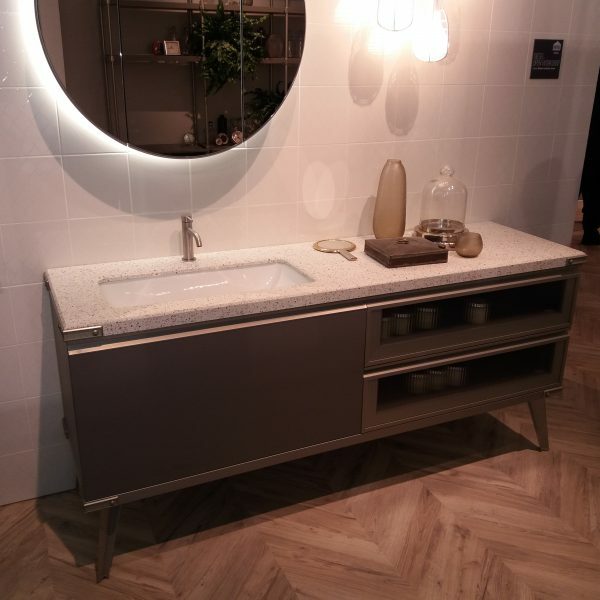 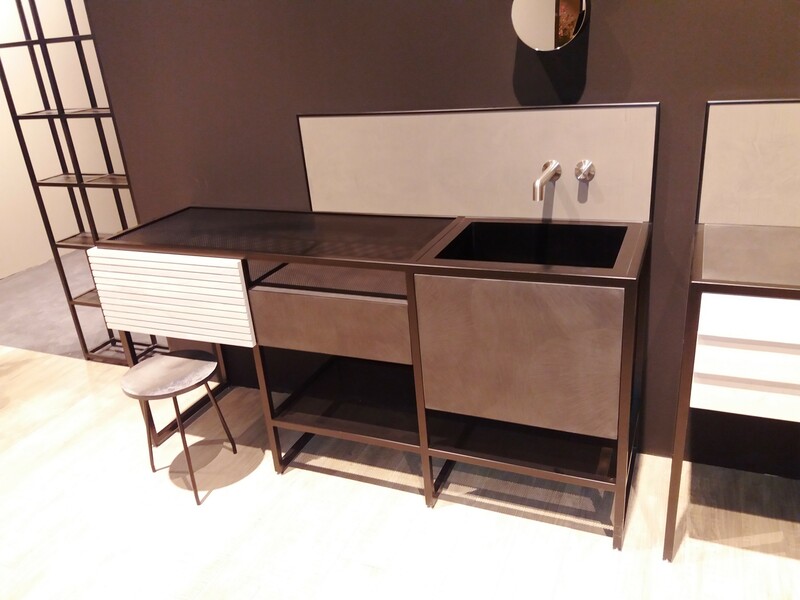 This washstand was exhibited at Salone del Mobile Milano 2018. 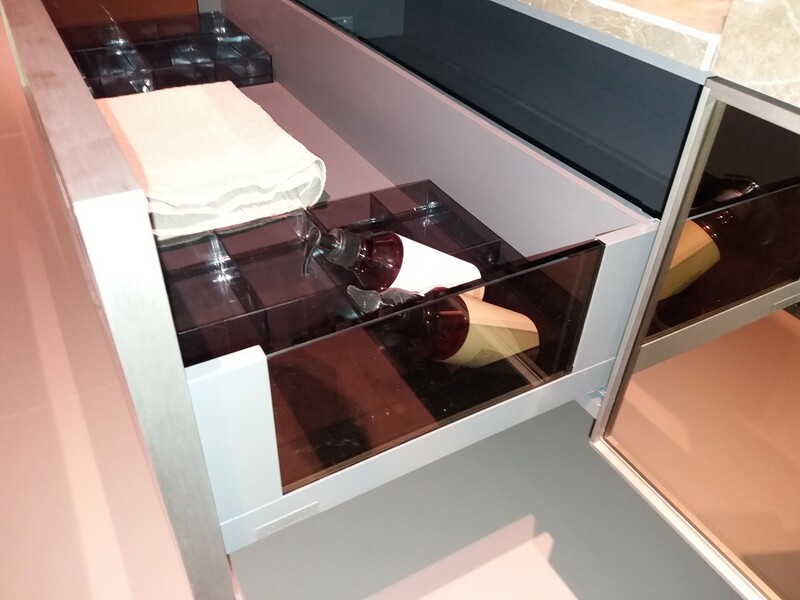 The producer used Blum Legrabox height K.